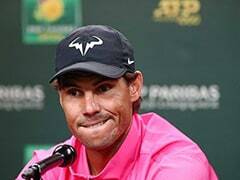 Defending champion Rafael Nadal on Sunday reached the US Open quarter-finals for the eighth time where he will face Dominic Thiem, one of only three men to defeat him in 2018. 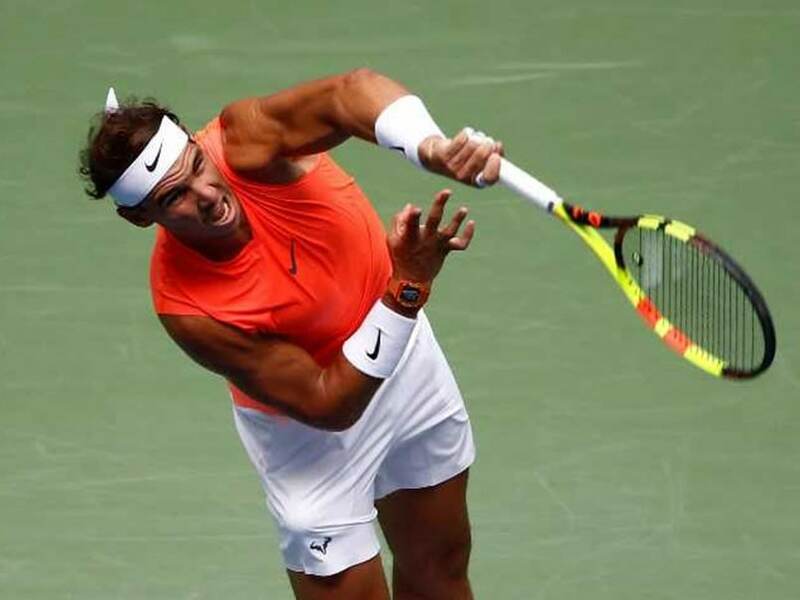 Defending champion Rafael Nadal on Sunday reached the US Open quarter-finals for the eighth time where he will face Dominic Thiem, one of only three men to defeat him in 2018. World number one Nadal saw off a battling Nikoloz Basilashvili, the first Georgian in a fourth round in New York, 6-3, 6-3, 6-7 (6/8), 6-4. "It's a big victory for me," said the 32-year-old Nadal, the champion in 2010, 2013 and 2017. He was hitting the ball very strong and when I thought I was in control of the points, he always came back with strong shots." It was world number 37 Basilashvili's strength, however, which proved his undoing. His 56 winners were erased by 59 unforced errors which in turn were three times as many committed by Nadal. 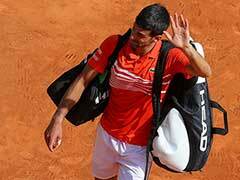 The Spanish star cruised into a two-set lead, seemingly fully recovered from the trauma of fighting back from a set and break down to Russia's Karen Khachanov on Friday. 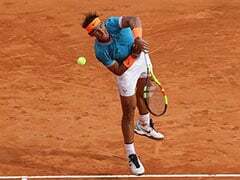 But Basilashvili stunned Nadal in the third set tiebreak and even retrieved a break for 3-3 in the fourth before Nadal's greater composure paid off. Next up for Nadal is Thiem who he defeated in the Roland Garros final in June when he captured an 11th French Open. Thiem, who beat Nadal on clay in Madrid in the run-up to Paris, booked his place in the quarter-finals for the first time with a 7-5, 6-2, 7-6 (7/2) win over 2017 runner-up Kevin Anderson. The ninth-seeded Austrian's three other appearances in the last-eight of a Slam have all been on the clay of Roland Garros in 2016, 2017 and 2018. Nadal leads their head-to-head 7-3 with all of their matches coming on clay courts. "Thiem is a great opponent, he has the big serve and he had a big win today against Kevin," said Nadal who has made the last-eight of every Slam in the same year for the first time since 2011. Thiem has unfinished business at the US Open. Last year, he had two match points against Juan Martin del Potro in the fourth round but fell to the Argentine in five sets. Thiem's progress to the last-eight comes despite choosing to play European clay court events after Wimbledon before then losing his only summer hard court outing in Cincinnati to Stefanos Tsitsipas. He is the first Austrian in the last-eight at the US Open since Thomas Muster in 1996. On Sunday, he never faced a break point and hit 42 winners. "Against Rafa, I've had three very nice experiences and seven horrible experiences," said 24-year-old Thiem. 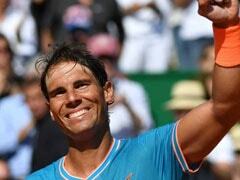 "On clay, it's one of the biggest challenges in sports to beat this guy. I hope that it's a little bit more comfortable on hard court, but I'm not sure." John Isner reached the quarter-finals for the first time in seven years with a 3-6, 6-3, 6-4, 3-6, 6-2 win over Canada's Milos Raonic and hailed the patriotic tournament atmosphere as a "jungle." Isner, the 11th seed, is the only American man left as he attempts to become the first home winner since Andy Roddick in 2003. The 33-year-old will face either 2009 champion and third seed Juan Martin del Potro or Croatia's Borna Coric for a place in the semi-finals. "There were a lots of ups and downs in the match. The atmosphere was like a jungle," said Isner of the crowd on the new Louis Armstrong Stadium enjoying a raucous Labor Day weekend. Isner, who will become a father for the first time in two weeks, said he will not fear his next opponent. He is 4-7 against Del Potro having lost to the Argentine most recently in straight sets in the fourth round at Roland Garros this year. 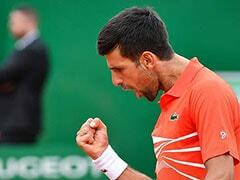 He is 1-1 against Coric. "They are both players, I've played them a bunch of times. But why not me? Let's keep going." On Sunday, Isner fired 56 winners and 20 aces taking his ace count to a tournament-leading 112.